The WP&BC is comprised of professionals whose experience lies in the dynamic and constantly-changing atmosphere of employee benefits. The Sacramento Chapter sponsors a minimum of four meetings each year on a variety of timely and practical benefits-related topics. 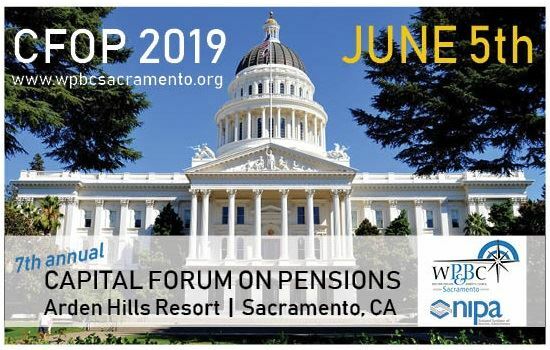 WP&BC strives to create an environment where pension & benefits professionals can expand their knowledge, share their ideas and socialize with new and old colleagues, whether their expertise lie in plan design, investments, compliance, law, administration, insurance or auditing. Over the years, our Chapter has maintained a wealth of pension & benefits expertise in many fields of our trade and hope that our members may serve as resources for one another. Thank you to our generous chapter sponsor, Clifton Larson Allen! The webinars are a great way to get your CE credits from work or home.